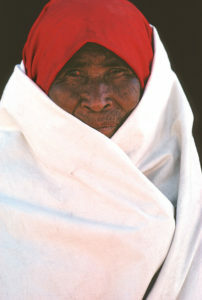 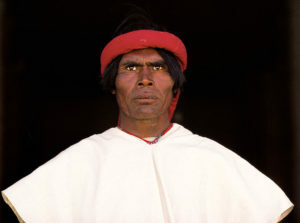 Bennett was working for Surgical Eye Expeditions International, a group of ophthalmic surgeons in Mexico when she saw a native Tarahumara man. 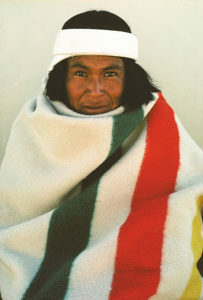 The Tarahumara reside in isolation among the Sierra Madres of northern Mexico and hold strongly rooted cultural traditions to this day. 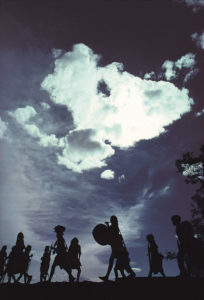 Bennett and Running traveled to the mountain ranges of Chihuahua to photograph the famed Easter celebration, Semana Santa. 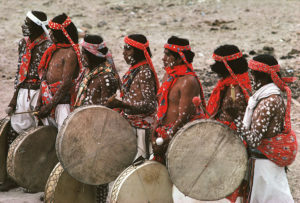 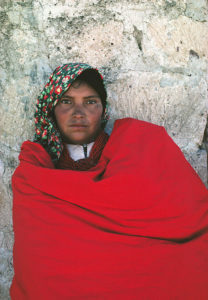 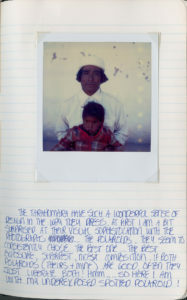 Bennett traveled to the Tarahumara for the first time in 1980, returned in 1981 to document Christmas activities, then again in April 1984 to photograph Palm Sunday celebrations.